Coinbase is the world’s most popular way to buy and sell bitcoin, ethereum, and litecoin. Create a digital currency wallet where you can securely store digital currency. Connect your bank account, debit card, or credit card so that you can exchange digital currency into and out of your local currency. Buy some Bitcoin, Ethereum, and Litecoin to begin using the future of money. Poloniex is a pure crypto to crypto exchange based in the United States. With a grand redesign in early 2015 the site has added a wealth of features to provide a fully immersive trading experience. Technical analysis charts and live chat mean it is easy to stay abreast of news flow and analyse price trends before taking a position. Bittrex is one of the larger crypto to crypto exchanges offering a large number of trading pairs into bitcoin. The exchange does have a very high turnover crypto currencies – leading some to accuse it of allowing pump and dump schemes that erode confidence in the crypto currency ecosystem as a whole. The underlying Binance platform has been deployed on 30+ exchanges already. It supports all devices and multiple languages, offering a seamless user experience. Binace’s certified matching engine is capable of processing 1,400,000 orders per second, making Binance one of the fastest exchange in the market today. Security is our priority. We employ an agressive cold storage policy on all currencies in our system. We aim to support a large number of crypto currencies, and provide a stable market for smaller niche currencies. 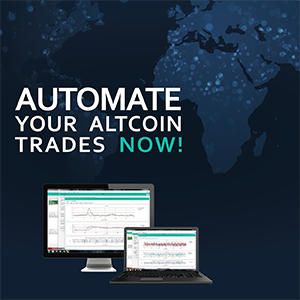 We will be providing some unique trading opportunities apart from currencies, more infomation coming soon. We believe good support is second only to security and endevour to answer your queries as quickly as possible. BitFinex offers three main functions – it is a bitcoin, litecoin and dashcoin to fiat exchange, a margin trading exchange and a liquidity provider. Although the company is said to be in Beta phase there are a number of features available that expand the financial positions you can take – for example the ability to short Bitcoin via margin trading. Bitstamp is run from the United Kingdom and is one of the most popular fiat to Bitcoin exchanges. Bitstamp only allows for one exchange pair of USD to Bitcoin but does use conversion of other fiat currencies via its Slovenian banking partner which will incur higher fees. Kraken is a top European based exchange and offers a variety of fiat to bitcoin pairs such as JPY, EUR, GBP and USD. Volume is decent especially on the JPY BTC pair after MT Gox’s collapse – with Kraken assuming the mantle in that region. The exchange also has a smattering if popular crypto to crypto pairs including litecoin and dogecoin. BTCe is a decent all round exchange focusing on its core base in Eastern Europe. Pairs include fiat to fiat, fiat to crypto, and crypto to crypto – although limited to the major volume currencies. EtherDelta is a decentralized Ethereum token exchange, brought to you by Etherboost. Here, users can trade any most Ethereum-based tokens such as Iconomi, Augur, 1ST, and others. The exchange currenly has only one fee, which is the 0.3% taker fee. Deposit, withdraw, and maker transactions are all free. Ensure trade safety by financing-level user data encryption, dynamic authentication, and multi-level risk identification & control. Instant deposit and fast withdrawal, deposit accomplished within 2 minutes. Founded by the tech expert from Ant Financial. With the rich experience in the high concurrency financial system, our engine enjoys unique memory matching and distributed accounting technologies, processing over 1 million orders per second. Multi-layer encrypted wallet enclosed in the bank custody; Funds managed by third party and reports issued by bank regularly. Previous Post Previous post: Time to Start Looking at Other ICO Platforms?